If you’re moving in or out of Tri Valley, go with the best for your important relocation and rely on Mid Cal Moving & Storage. Mid Cal has served Tri Valley residents and businesses for many years, providing the dependable service that our customers expect and deserve. Along the way, our Tri Valley moving company has become a BBB “A+” rated business and a ProMover with the American Moving & Storage Association (AMSA). Quality, customized service is not only our priority – it is our solemn promise. 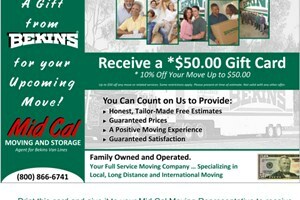 Mid-Cal is an agent of Bekins Van Lines, which allows our Tri Valley movers to complete moves of all sizes to any long distance or cross-country destination. Through Bekins, we have access to over 100 countries, making even complex international moves smooth and streamlined. Please read on to learn more about our movers in Tri Valley! For more information on Mid Cal Moving & Storage and the comprehensive Tri Valley moving services we offer, call us today or fill out the Quick Quote form above for your no-obligation estimate.